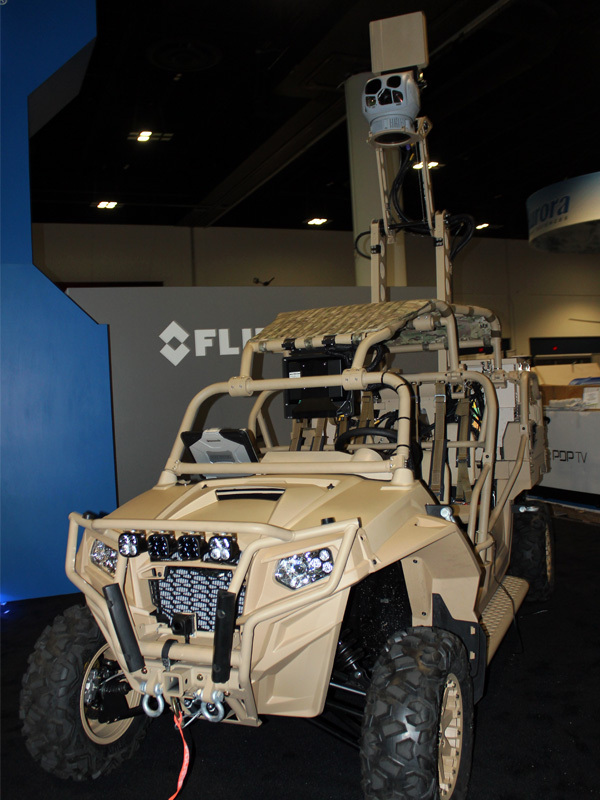 AeroBD | The AERO news Company…: FLIR Systems, Inc. (NASDAQ: FLIR) announced the release of two-high performance ground surveillance tools for border security and force protection, the LTV-X™ Light Tactical Vehicle (LTV) and the FLIR Ranger™ R6SS portable radar at Special Operations Forces Industry Conference (SOFIC) in Tampa, Florida. The LTV-X is a rugged, tactical reconnaissance vehicle that can be transported inside a Bell Boeing V-22 Osprey for rapid deployment in support of urgent operational requirements. Featuring multiple integrated sensors such as the TacFLIR 280-HD multispectral ISR turret and the Ranger R6SS Ground Surveillance Radar, the LTV-X also includes an onboard command and control system that enables full control, exploitation, and dissemination of real-time imagery and target tracking between deployed mobile and fixed assets. The LTV-X also offers near-silent operation when stationary. The Ranger R6SS ground-surveillance radar detects and tracks personnel and vehicles within a 15 kilometer range, with a low false alarm rate, and is designed to perform in the most demanding environments, including X-band operation for superior rain penetration. Featuring advanced Digital Beam-Forming (DBF) and a high-speed refresh rate, the FLIR Ranger R6SS offers superior target detection, acquisition, and classification as well as clutter rejection. With built-in North-finding and GPS capabilities, it can be mounted on a vehicle or dismounted and carried for artillery and mortar fire correction. Depending on mission objectives, operators can network multiple vehicles, sensors, and even Unmanned Aerial System (UAS) assets with a central command center to give unprecedented situational awareness and responsiveness. The LTV-X also offers a wireless system that provides target bearing and geo-referenced coordinates to other personnel, vehicles, and command and control systems for precise target location. Other features include a laser rangefinder, laser pointer, illuminator, and battery-operated quiet mode.